The Brown family has generously donated the Collection to the Graduate Theological Union Archives. The Collection has been fully organized and is open for research. The Exhibit runs October 1, 2010 – January 15, 2011, Flora Lamson Hewlett Library, presenting photographs, archival documents, books, and memorabilia highlighting the rich resources. Materials from other archival collections are also on display to further capture the times, especially posters from the Albert Cohen's Campus Ministry, Social Justice and the Environment Collection and publications from Daniel O'Hanlon's Vatican II Collection. This online exhibit provides access to a selection of writings and talks to more deeply appreciate the thoughts and life of Brown. Throughout a life of ever expanding ideas and causes, Brown remained rooted in the Presbyterian tradition to which he was born. 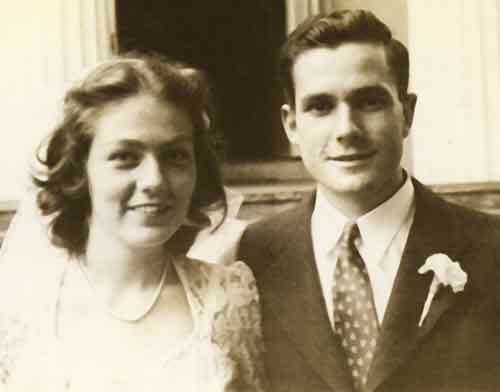 Robert Brown and Sydney Thomson married in 1944. 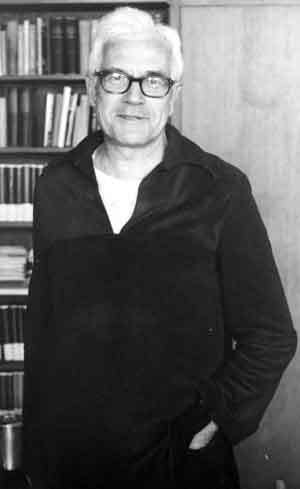 He attended Union Theological Seminary in New York where he studied with such eminent theologians as Paul Tillich and Reinhold Niebuhr. After graduation and ordination in 1945, he joined the U.S. Navy Chaplain Corps. The war ended while he was still at Training School, so he was assigned to the USS Bollinger transporting troops home from the Pacific. He was discharged from the Navy in 1946. Brown began his long teaching career after receiving a Ph.D. from Columbia University and Union Seminary. He served on the faculties of Macalester College, 1951; Union Theological Seminary, 1953; Stanford University, 1962; and the Pacific School of Religion in Berkeley, California, 1979 until his retirement in 1984. Robert McAfee Brown framed his life and work by integrating world situations into his intellect and faith. Early in WWII began the process he continued throughout his life. He studied, prayed, and discussed with others what it meant to live as a Christian during wartime, and how one was to proceed with life choices. Understanding himself as a pacifist, and needing to manifest his philosophy and faith in life, he decided to work it out through Navy chaplaincy. As a Chaplain assigned to a ship, he again approached his faith stand by living it in that real situation. He found that the Navy and its ships were divided into a strict racist structure. Throughout his assignment, he worked to get people thinking and talking about how to live in a world without a racist structure. Brown continued to live out his life and faith acting for justice. After the Navy, Brown began a long involvement in political activity as he campaigned for Eugene McCarthy running for Congress while writing and speaking against the intolerant philosophies of Joseph McCarthy. In this, as in subsequent teaching and writing, he was open and public in his views. He had the courage to accept possible negative consequences whether personal, legal, or academic. To all, Brown responded with calm dignity and thoughtful reply. 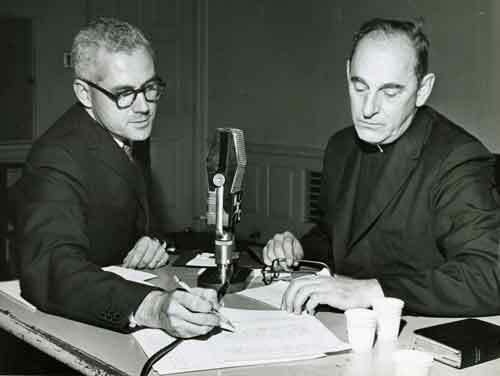 At Union Theological Seminary in New York, 1953-62, Brown taught such expected courses as Christian Ethics, Bible, Narrative Theology, and the Theologies of Niebuhr, Barth, and Bonhoeffer. His courses were always expansive and popular. He led students to think, to push all boundaries, to follow their faith. As his life moved with the world, Brown moved into courses and workshops such as World Religions and Systems, Social Concerns and Justice, Liberation Theology, Women’s Studies, and the Ethics of Work. Always well prepared, he presented content and led discussions with accessibility and liveliness. 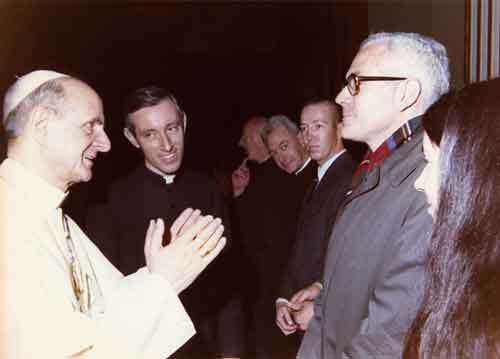 Portrait from early 1960s; Meeting Pope Paul VI in 1970; Speaking at protest rally in 1971. In the turbulent 1960s, Brown was at the forefront, then the heart of all the rising issues. Always a participant in the World Council of Churches and ecumenism, he early understood the need for broadening dialog with Roman Catholicism. Understanding the need, he took the action. Brown began to work closely with Gustave Weigel, S.J. continuing to study, discuss with an expanding circle of colleagues, write, and speak. A series of articles such as “Rules for Dialogue” were published simultaneously 1960 in the Catholic journal Commonweal and Protestant journal Christian Century. He ultimately attended Vatican II as an Observer for the World Alliance of Reformed and Presbyterian Churches. Again, he wrote extensively 1963-65 of the experience and the issues involved for the churches and a broader ecumenicism. Brown was a strong participant in the Civil Rights movement through his teaching, writing, and preaching. Since action always followed conviction, in 1961 Brown participated in a Freedom Ride with several New York pastors and rabbis of all races. They traveled by bus to Tallahassee, Florida, eating together in diners and bus stations received with varying levels of hostility. In Tallahassee, they were arrested and jailed. Again, Brown published his beliefs and experiences in several articles including the seminal “I Was a Freedom Rider”, Presbyterian Life, 1961. 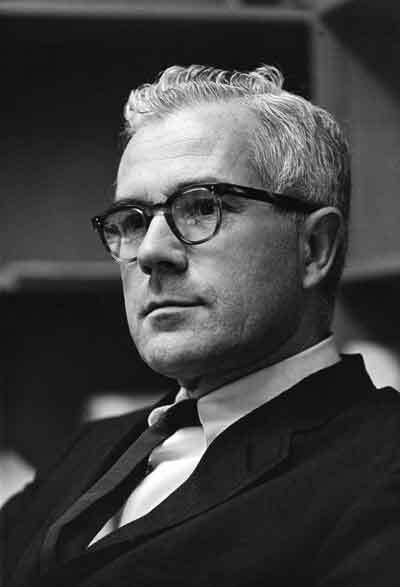 The peace and anti-draft issues of the Vietnam War rose after Brown had moved to Stanford University. He published “In Conscience I Must Break the Law” in Look, 1967. 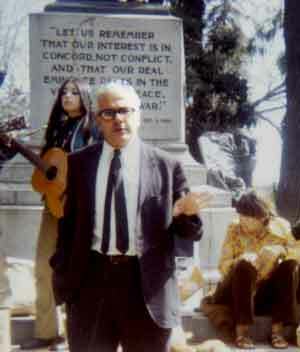 Along with his continued prolific writing, teaching, and preaching, Brown participated in many protests against the draft and actions for the peace movement. He traveled with a study team to Vietnam in 1969, then 1972, to Europe with a delegation urging peace meeting with high level political leaders and the Pope. With a broadening study of ecumenicism, Brown invited Elie Wiesel to speak at Stanford in 1974. After meeting, the two became deep friends until Brown’s death in 2001. Wiesel was a strong influence on Brown who expanded into issues raised by the Holocaust. Appointed by President Carter to the United States Holocaust Memorial Council in 1979, Brown, action following conviction, resigned in 1985 after President Reagan’s controversial visit to Bitburg Cemetery which contains German soldiers’ graves including SS troops. Through the study of the emerging Liberation Theology in Latin American, Brown met Gustavo Gutierrez. They worked together in academic and political projects. Over the next two decades, Brown engaged in liberation study broadly defined, through teaching and activism concerning women’s liberation, feminism, justice issues in Central America and the Sanctuary Movement, economic and worker justice, and Gay and Lesbian (LBGTQ) liberation and justice. The work continued long after his retirement from the Pacific School of Religion in 1984, and often in collaboration with Sydney Thomson Brown. Brown worked with family and colleagues to present his life, faith, and work in what became Reflections Over the Long Haul: A Memoir, published in 2005. In the Prologue, Sydney Thomson Brown wrote, “Grounded in the traditional, the traditional never contained him. Robert McAfee Brown wanted the earth to be fair and good for all. [He was] committed to relate his faith to the world around, to push the boundaries, to be effective. He acted for this through his teaching, preaching, and writing – and with others, turning his ideas into action. Not by nature an activist, he became an activist because his faith called him to act. He was a man of courage." For additional information, see the finding aid, or contact Lucinda Glenn, Archivist, lglenn@gtu.edu, 510-649-2507. 1944 June 21	 Marries Sydney Elise Thomson. They have 3 sons and 1 daughter. 1962	 Time calls him "Catholic's Favorite Protestant"
1965 February 8	 On editorial board of Christianity and Crisis , which comes out against further military action in Vietnam. 1966 January 3	 On Cover of Newsweek: "The Protesting Protestants" and "Stanford's Robert McAfee Brown"
1971 April 9	 Arrested during protest at the Berkeley Draft Board on Good Friday. Brown and son Peter receive 5-day sentences to Santa Rita Jail. 1975	 Keynote speaker at the Fifth General Assembly of World Council of Churches in Nairobi, Kenya, "Who is this Jesus Christ Who Frees and Unites?" 1993	 Publishes with Denise Lardner Carmody, and John Carmody: The Future of Prophetic Christianity: Essays in Honor of Robert McAfee Brown. 1998	 Publishes: Dark the Night, Wild the Sea. A novel. 2003 January 28–30	 Inspires: "For the Living of These Days: Reclaiming Theology as a Public Resource," Pacific School of Religion's 102nd annual Earl Lectures and Pastoral Conference. Robert McAfee Brown Exhibit Committee members included Robert Benedetto, Caryl Wolfe, Lucinda Glenn, Clay-Edward Dixon, Bonnie Jo Cullison and David Stiver. Library exhibit curated by Lucinda Glenn, Clay-Edward Dixon and David Stiver with substantial assistance by Bonnie Jo Cullison. Walls installed by Nicholas Ukrainiec. Online exhibit by David Stiver.